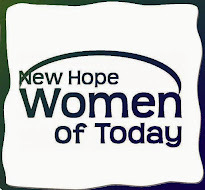 New Hope Women of Today: Members it's Passport Time! Do you remember the passport I gave you in the blue folder? It's time to take them out. Look over your passport and fill it out. I will have more stickers available at the General Meetings. These passports are a personal way to show what you have accomplished over the year. Most of you will be surprised just how much you do. I want you to bring your passports to the March and April meetings. The first time you bring in your passport, you will receive a very special charm. Every month you bring in your passport you will be entered into a drawing for a $10 Applebee's gift card drawing to be held during new business at the end of each of the meetings.